For the first time, Microsoft CEO Steve Ballmer referred to the next version of Windows as "Windows 8" – it was during remarks at a Microsoft Developer Forum in Japan, as opposed to an official press event for Windows, but it's still worth noting. Furthermore, Ballmer specifically said the next generation of Windows systems will be out next year. We've been referring to Windows 7's successor as Windows 8 for a long time now, so many might think this isn't a big deal, but it is. Microsoft has made a point never to refer to the next version of Windows as Windows 8, and has instead publicly called it "Windows Next" or the "next generation of Windows." The company has also refused to give a timeframe for a release date, merely saying that it won't come sooner than three years after the release of Windows 7 (October 22, 2009). We're obviously hard at work on the next version of Windows. Windows 7 PCs will sell over 350 million units this year. We've done a lot in Windows 7 to improve customer satisfaction. We have a brand new user interface. We've added touch, and ink, and speech. And yet, as we look forward to the next generation of Windows systems, which will come out next year, there's a whole lot more coming. As we progress through the year, you ought to expect to hear a lot about Windows 8. Windows 8 slates, tablets, PCs, a variety of different form factors. To make things a bit more interesting, Microsoft is saying Ballmer made a mistake. "It appears there was a misstatement," a Microsoft spokesperson told ZDNet. 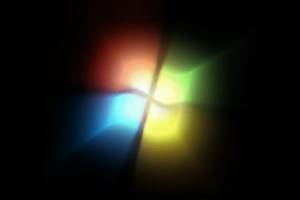 "We are eagerly awaiting the next generation of Windows 7 hardware that will be available in the coming fiscal year. To date, we have yet to formally announce any timing or naming for the next version of Windows." In other words, despite what Ballmer said, Microsoft is still not ready to announce the name of Windows 7's successor, or when it will arrive. It's still very probable that Ballmer's statement was accurate, but to what extent we'll have to wait a little while longer.